Hello friends! I hope y’all had a fruitful Advent and are enjoying the Christmas season! Our Christmas was wonderful – full of family and celebrating the Divine Infant’s Nativity, and this Christmas was our last Christmas with our oldest daughter at home! She gets married this May – we’re just a few months away and it’s a flurry of planning activity here! Invitations are being addressed and bridesmaid dresses are being altered (a lot!!). I found my mother-of-the-bride dress (because of course…you cared! LOL!). But, that was a big deal to me – a great check mark on the list! So, it’s full steam ahead there, and around here, I’m gearing up to start school again in a week and really working hard on some personal projects that I’m absolutely loving! 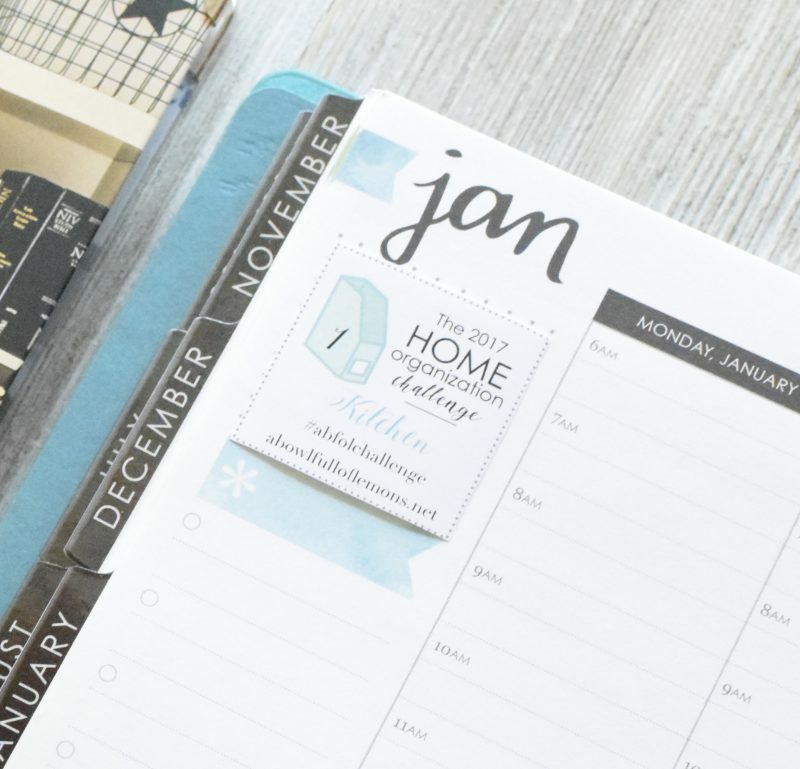 And…I’m getting ready to start A Bowl Full of Lemon’s 2017 Home Organization Challenge! I’d love for you to join in! I’ve been a fan of Toni Hammersley’s website, A Bowl Full of Lemons, for several years! It’s full of beautiful ideas for home organization. Practical + Pretty. She speaks my language! 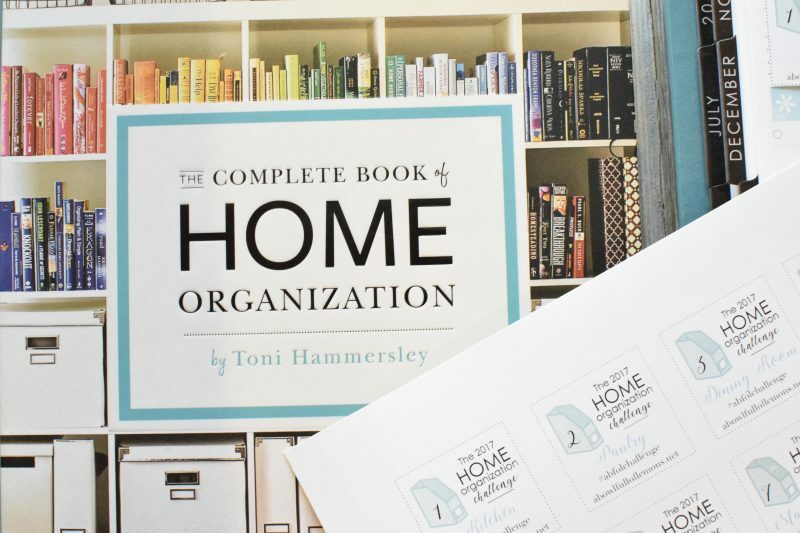 So when she wrote her book last year, The Complete Book of Home Organization, I was one of the first people in line to grab it. I’ve had it a year now and friends, this book has never been on a shelf – why? – because it’s always on a table, my desk, next to my reading chair, on my bedside table, or stacked on a working clipboard. I glean from it all.the.time. 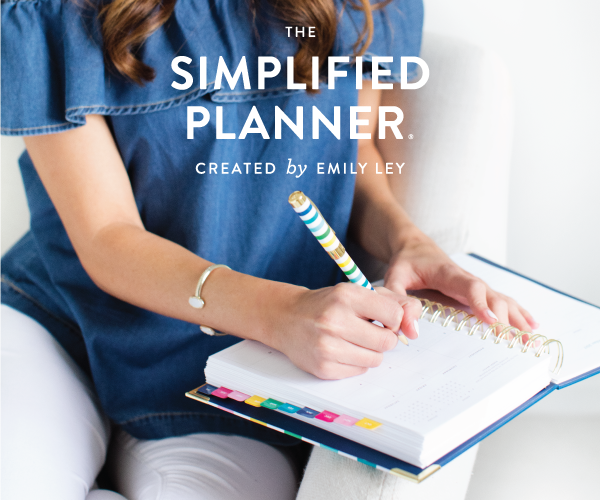 It is full of gorgeous glossy photos, ideas, and some fantastic totally out-of-the-box organizational thinking – all of which is right up my alley! 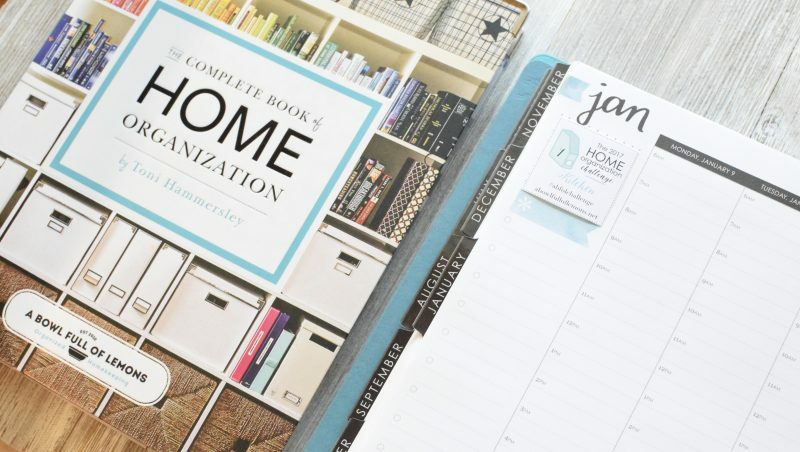 Complete home organization inspiration!!! If there was ever a book I could get completely behind – this is it. 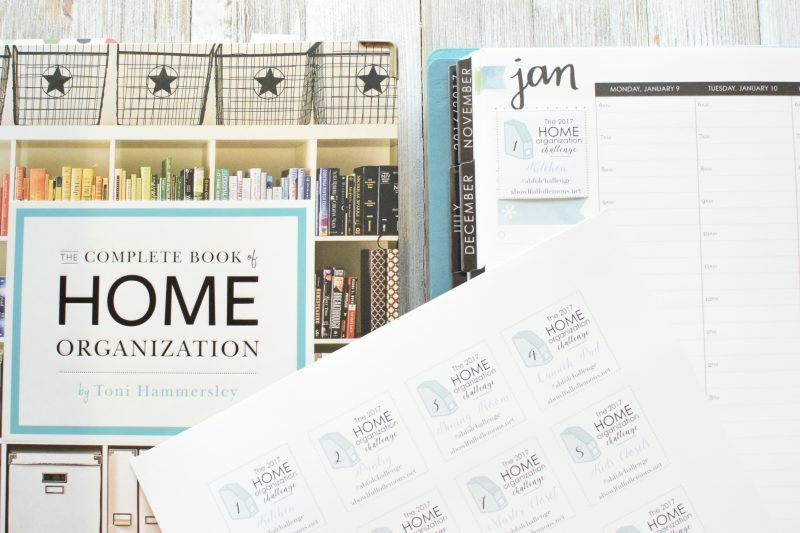 Do you need the book to complete the 2017 Home Organization Challenge? No. 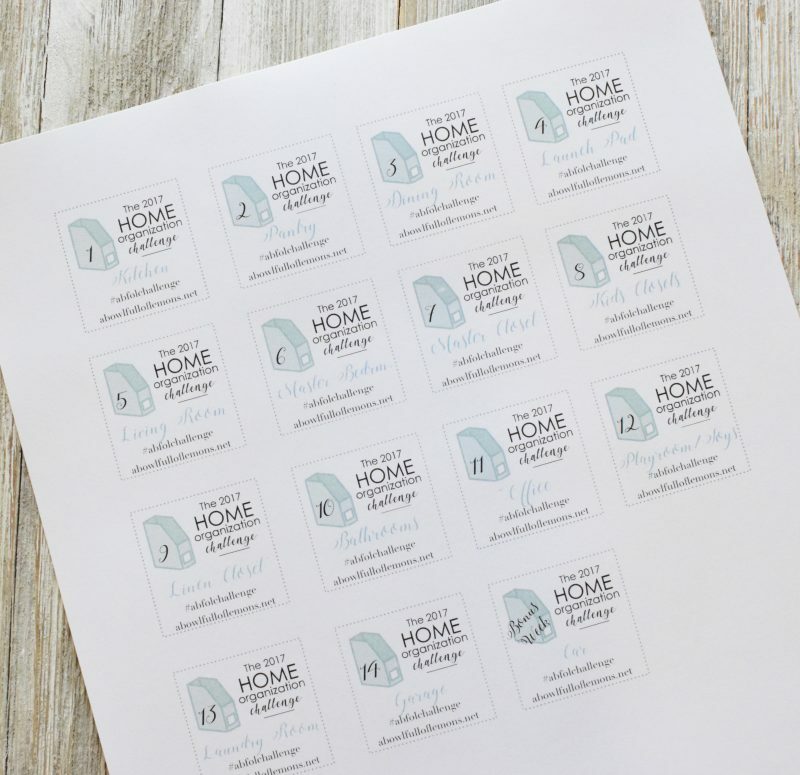 You can read her blog, grab the free printable packet and go! But the book is a huge help that is absolutely brimming with inspiring ideas! Now, Toni couldn’t have made this easier or more inviting for us! And I wanted to add a little something that I think will be a tiny help to me each week – a printable sticker to put in my planner to act as a reminder for the focus of the week. And, of course, I’m sharing! When I’m not posting on my blog, I’m sharing little pictures and snippets on my Instagram account. You don’t have to have an account to check in at Instagram, but if you do have an account, I’d love it if you followed along! I’ll be sharing my progress along with some of my organizing projects through the next 14 weeks on Instagram. 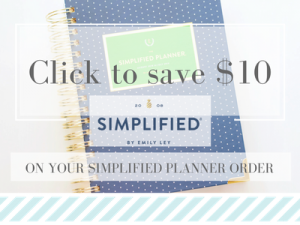 I hope you’ll join in A Bowl Full of Lemons 2017 Home Organization Challenge! Let me know if you do!! Happy organizing, friends! Ah…thank you! I just requested the book from our library. You’ll really enjoy it, Judy!!! I have my list printed and am eager to begin! I,too, have decided to begin my weeks on Mondays. We must think alike! !~~ So much goodness and inspiration in Toni’s book. Even though I purge our home regularly I am excited to be cleaning out the corners and freshening our spaces once again. What a great idea to post on instagram as you go along. I will join you. I am @schiedel7. And, of course, the mother of the bride dress being checked off the list is indeed newsworthy! Well done!! How exciting that you’re along! I just followed you on Instagram – excited to share our progress!!! So excited you can grab this at your library!!! 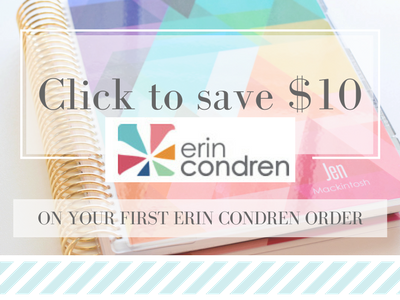 And…you’ll have a treat spending some time over at Toni’s blog, Erin!!! This is too much of a coincidence. I must be meant to join in. Before I read your post, I went to the library this evening and pulled that book off the shelf and brought it home. I was very surprised to see you reference that book. What are the chances? Must be the Holy Spirit dropping me a little hint! I am excited to start the book and I appreciate the links to the printables. It is always more motivating to have support!